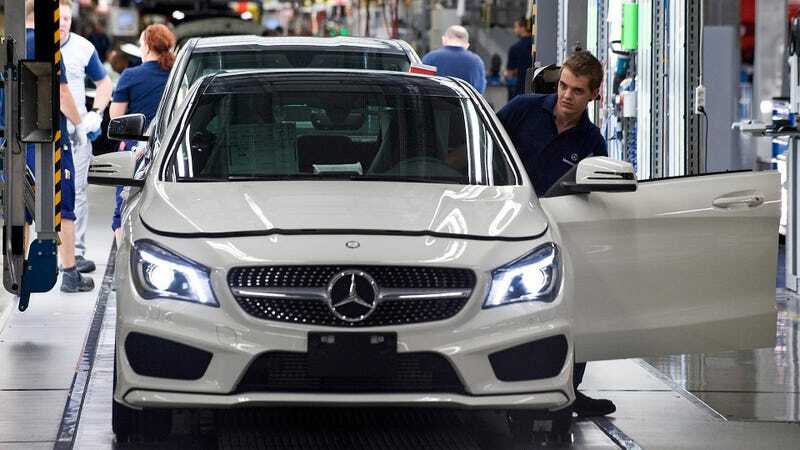 This morning, the police searched all employees before entering the Hungarian Mercedes-Benz factory after CLA and B-Class production was halted three times in a row due to bomb threats caused by a jealous girlfriend. The latest call came in yesterday, and since the factory is supposed to produce 180 vehicles per shift, the anonymous prankster started to cause serious delays. Normally, employees go through a standard detector gate both in an out, but Mercedes went to red alert today and asked for a thorough check from the police. Eventually, they got their caller. As it turns out, the criminal mastermind was a 25-years-old woman who suspected her boyfriend, a Mercedes employee, to be cheating on her with a colleague. She somehow expected the affair to end just like production after a bomb threat, but didn't think it through and used her own phone. She got three years probation for that and will serve a year in prison if she makes any more prank calls.